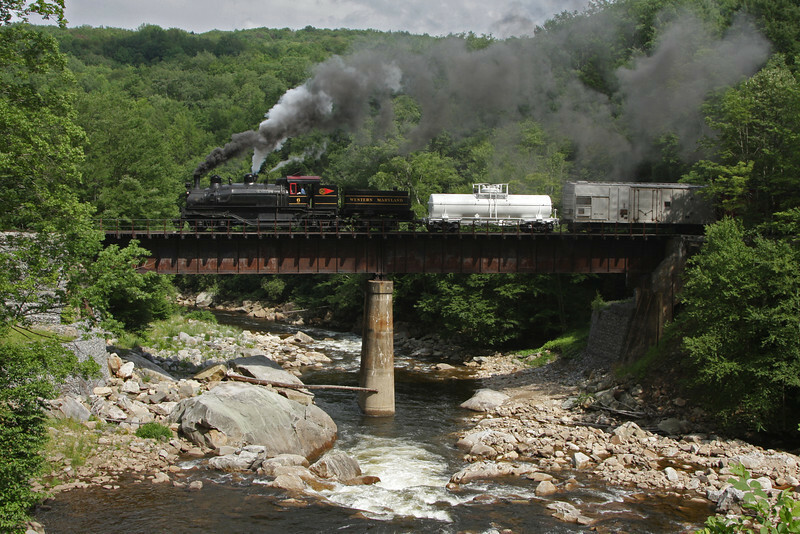 For the first time in nearly forty years, the former WM Railroad High trestle welcomes steam again as Western Maryland Shay #6 pulls a MSRLHA, D&GVRR, CSRR sponsored photo charter from Cass, Wv To Elkins, WV. A 67 mile trip which tookapproximately 11 hours to complete. I have waited for this moment my whole life.